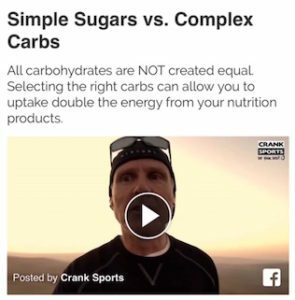 e-Fuel is 70% complex cabs vs Tailwind which is 100% simple sugar. e-Fuel also has 50% more electrolytes (to avoid cramping and injuries) and e-Fuel costs about 50% less than Tailwind. Electrolytes are critical to maintain hydration and to avoid cramping and injuries. e-Fuel has about 50% more electrolytes than Tailwind. Citrates assist in the carbohydrate to energy conversion process as well as reduce and slow the build-up of lactic acid in your muscles. Antioxidant vitamins C and E help protect against tissue damage, reduce soreness and aid in the recovery process. Tailwind does not have the antioxidants found in e-Fuel.